The wonderful thing about babies is they smile just because it feels good. Why is it that we think we need a reason to smile as we get older? Powerful things come in small packages and with a simple smile, we convey positive energy, share emotion and draw the world into our circle. 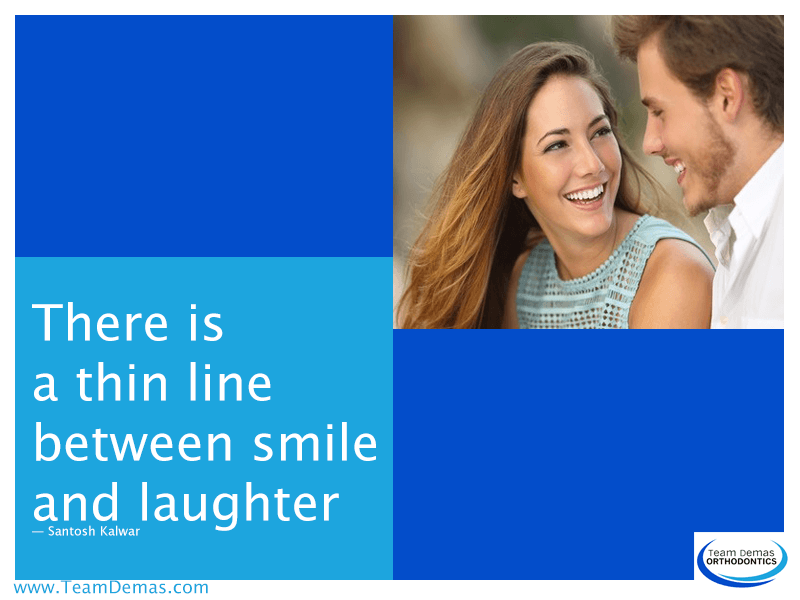 Are you having trouble finding your smile today? Maybe we can catch it in a game of hide and seek. Check your phone for that goofy selfie of you and a friend at the park. Lift up the toy box lid where you’ll find your two years old’s missing breakfast. Open the kitchen cabinet door where you’ll find your missing two year old, who’ll be doing what? Smiling for you! lower the likelihood of obesity, a heart attack or stroke. “There’s always a reason to smile,” should be the first of many smile quotes to live by. 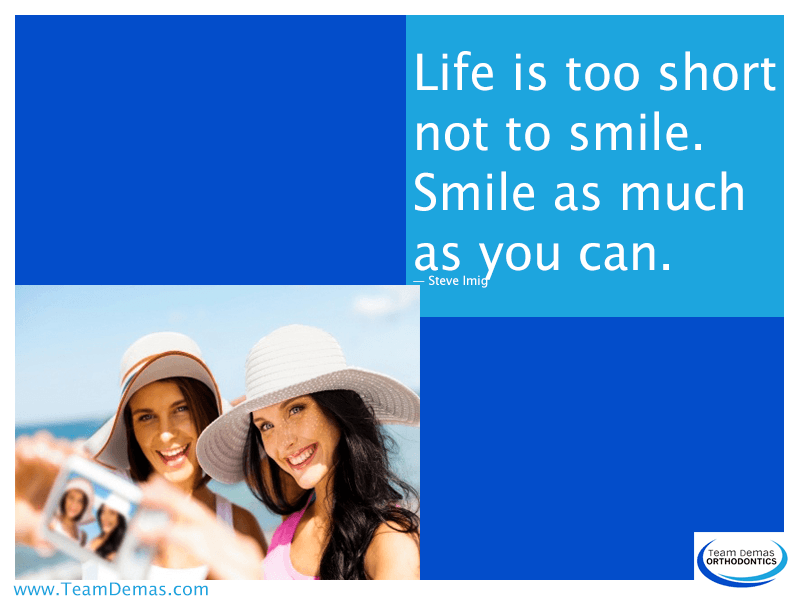 Let the orthodontists at Team Demas help you create a great smile on a budget that won’t make you frown. Call us today for a complimentary visit.